Everything you need to know regarding for team billing. Companies and organizations play a huge role with the employees that they bring to a coworking space. Habu provides a quick and simple way for you to stay on top of both team billing and team management. While it's an admin only experience with this release, we will be bringing front-end functionality to the Users Area to empower team leaders too. add plans and products to each team member's contact page to provide allowances and other workspace benefits. From here on, all future charges will be added to the Organization and billed to the Organization. 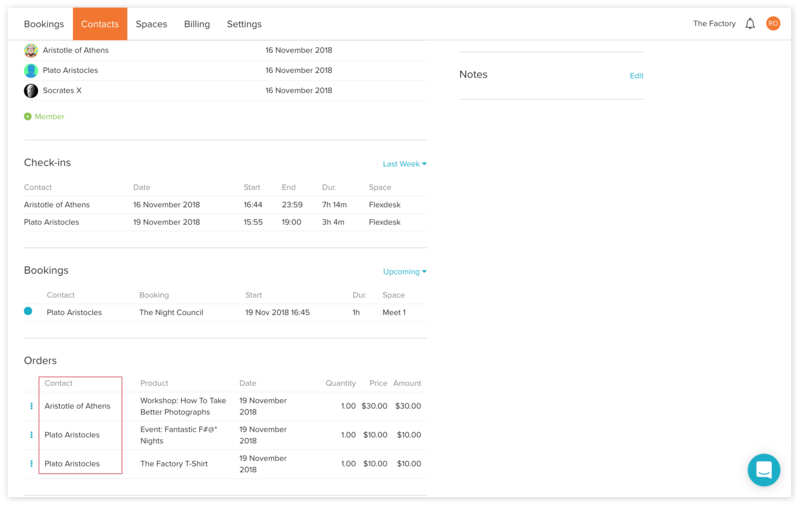 It's important that you add as much detail as required here as these are the details that will be used on the invoices for the team. Once saved, you'll now have the foundations of getting this team set up with a page much like a contact's page. Now you have the framework in place for a team. This means that all charges relating to each team member will be added to the Organization's list of charges, invoices will be generated and sent to that Organization and payment will be taken from the card held on file. Once you've added the contacts to the team, you can begin to add the plan that each team member is on. There are a number of different ways that you might want to do plans here, but there's an important step to note and it's that you should first add the contact to the team, and then add the plan to that team member. The reason for this is that any charges that are pre-existing on a contact's account and haven't started yet (e.g. future bookings) will remain on that contact's account rather than being transferred to the Organization's account. Rather than creating a general plan on an Organization's page, you need to head to each team member's page and add the subscription there. This gives you flexibility to do things such as provide different members with different allowances. create a team plan (Settings > Plans) priced at the full value of the plan. create a team plan priced on a per team member basis. With this option, you'll need to make use of Habu's custom pricing functionality. This will generate one central charge for the team's subscription. And if you need to update the price in the future, you'll just do that on the main contact's subscription. And add it to each contact after you've added them to the Organization. This option is particularly useful if you have teams that expand and contract regularly as adding / removing members will amend the price accordingly. Now that you've got your team set up with members and plans, let's take a look at the day-to-day for how things work with teams. 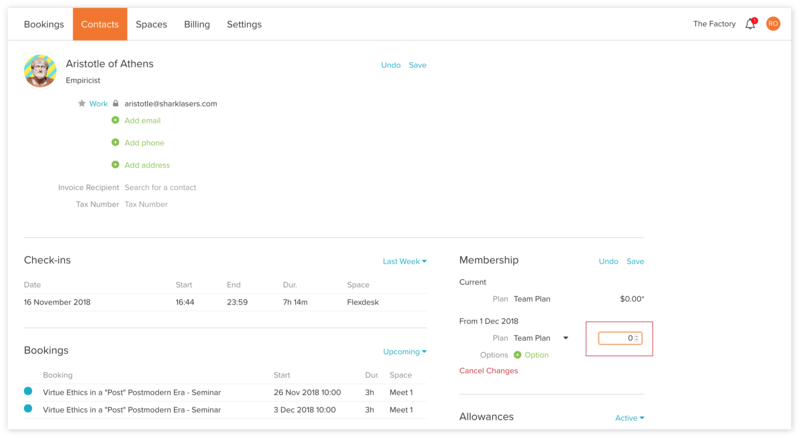 Whenever any activity takes place - whether admin or member led through the User Area - the charge or invoice will appear on the Organization's page rather than on the individual's page. This is temporary functionality that will be removed once the 'Add to Account' feature goes live (end of November 2018 - see below). 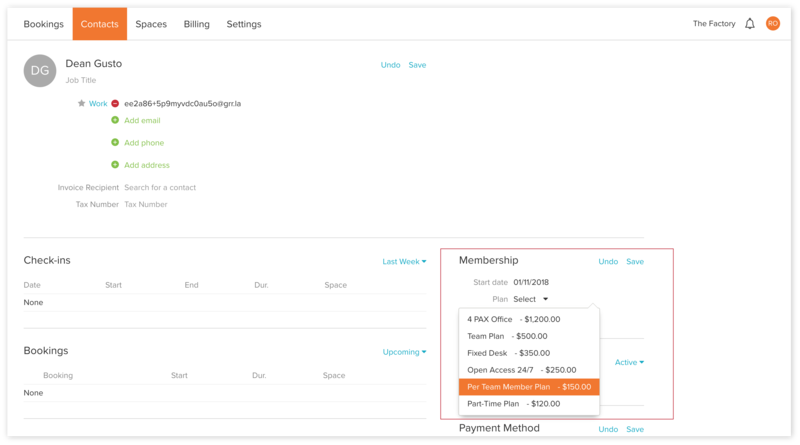 When a team member makes a booking through the User Area, Habu will take any allowances provided by a membership plan first. If they've used all their allowances or just don't have any, the charge for the booking will be added to the Organization account and will show in the list of charges. We will be adding a much enhanced 'Add to Account' functionality at the end of November 2018. 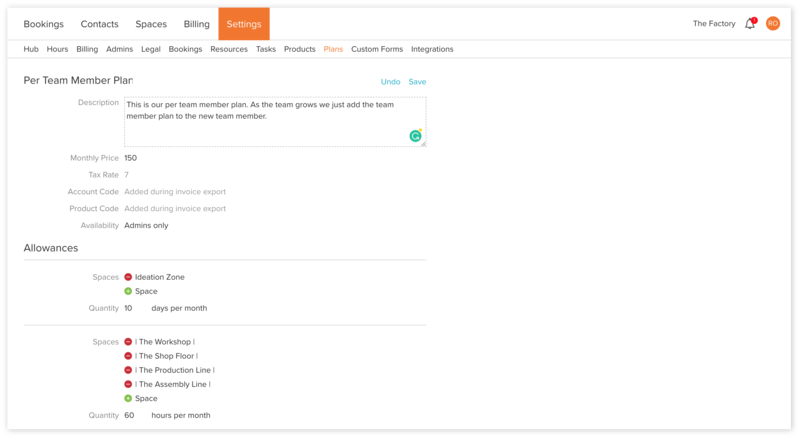 This will mean team members will add products to the team account, rather than being required to pay upfront. This functionality will extend to individual members of a workspace too, depending on the configurations you've set. Why do some Organizations show as black and others as grey on the Contact's Overview page? Organizations in black link through to an actual organization, likely composed of team members. Organizations in grey are derived from the organization field on an individual's contact profile page and is essentially just descriptive rather than functional. There are charges showing on a team member's page that I want to show on the Organization's page. What can I do to move the charges to the Organization page? This relates to charges that were generated prior to the contact becoming a team member for the Organization. The only way to move the charges to the Organization are delete and then re-add the charges. This will ensure that the charges are transferred to the Organization. This isn't possible with charges relating to subscription plans. If you have auto-billing turned on and the team member has the Organization Invoice recipient completed, the invoice will be sent to them. All new charges, including the new month's subscription, will be under the Organization.